It's time to get your new Dixie Direct card! I seriously love my Dixie Direct and use it all the time! It costs $35 and you can easily make your money back by using the card one or two times. There are deals for restaurants, golf, entertainment, health and beauty, home, auto an more! Plus there are 44 bonus coupons for free items, entertainment, services and food. 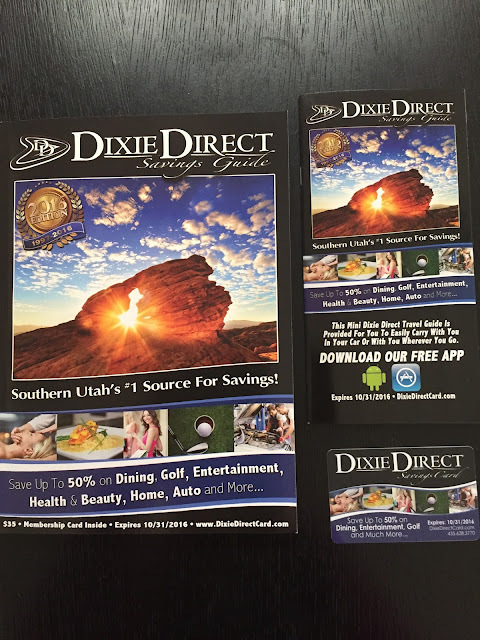 You can purchase a Dixie Direct card online or at local schools. If you buy a Dixie Direct from a school or organization they get to keep 50% of the sales! This would be a great way for you to support schools and organizations if you're planning on buying one anyway.